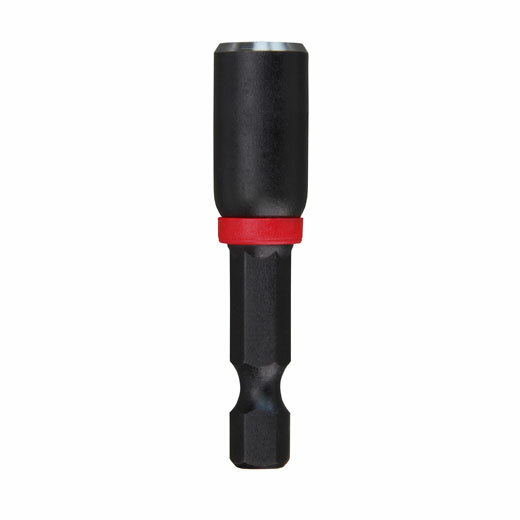 Milwaukee® Shockwave™ Impact Duty Magnetic Nut Drivers are engineered for extreme durability and up to 10x life. Made from proprietary steel and heat treated to control hardness, the Shockwave™ Impact Duty Magnetic Nut Drivers feature a powerful magnet allowing for a secure grip and unyielding bit engagement. The bits feature color-coded rings for quick and easy size identification and a chamfered edge to allow for fastening in tight spaces. Broadly targeting cordless users, the Shockwave™ Impact Duty accessory line is not only ideal for heavy duty impact applications, but delivers a full system solution for all the user's drilling and fastening needs. Package quantity 3.